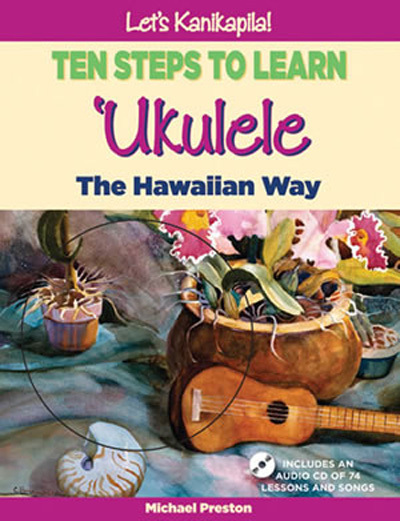 Ukulele expert and enthusiast Michael Preston presents an interesting and comprehensive guide to learn how to play one of Hawaii’s most popular instruments. Lessons are designed to progressively learn all the chords through the playing of fun and familiar songs such as Sakura, Twinkle Twinkle Little Star, Kookaburra, Skip to My Lou and Red River Valley. Hawaiian songs such as Hawaii Ponoi and Pua Lililehua as well as a Hawaiian translation of Silent Night are included among other local selections.